Two of the most profitable industries in Harvard were the herb and seed businesses. After its start in the 1820s the herb business became the most lucrative. By 1845 the Shakers were selling 197 kinds of “medicinal herbs,” eight varieties of “sweet herbs in canisters,” and 13 “extracts.” In 1848 they built the stone Dry House drying the herbs and began construction of a large herb house they finished in 1850, which is now gone. 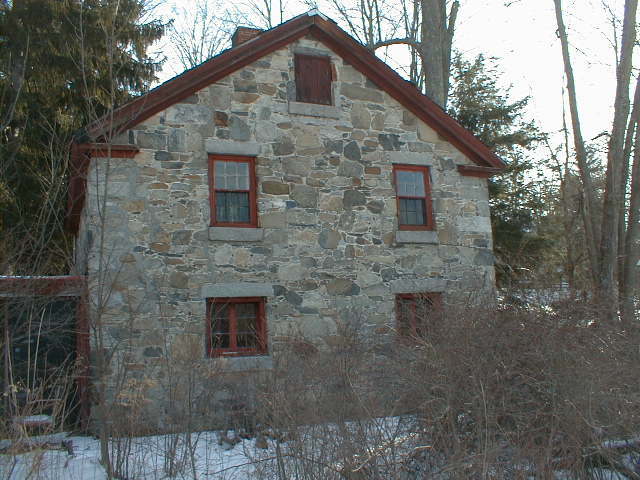 The random dressed stone Dry House with a slate roof was built at a cost of $400. Like so many Shaker buildings, it takes advantage of the hillside location to allow light to enter the lower story. In addition to drying herbs and fruits, Shakers also processed dock, flag, pond lily roots, and other roots by drying and powdering them for sale. Large quantities of horseradish root were dried as well.